Rocío Rodríguez has been exploring the complexities of tangled skeins of lines in her painting for a while now. In an untitled series of paintings from 2003–2004, the intertwinings read as plant forms; presented against neutral grounds, they resemble botanical illustrations. 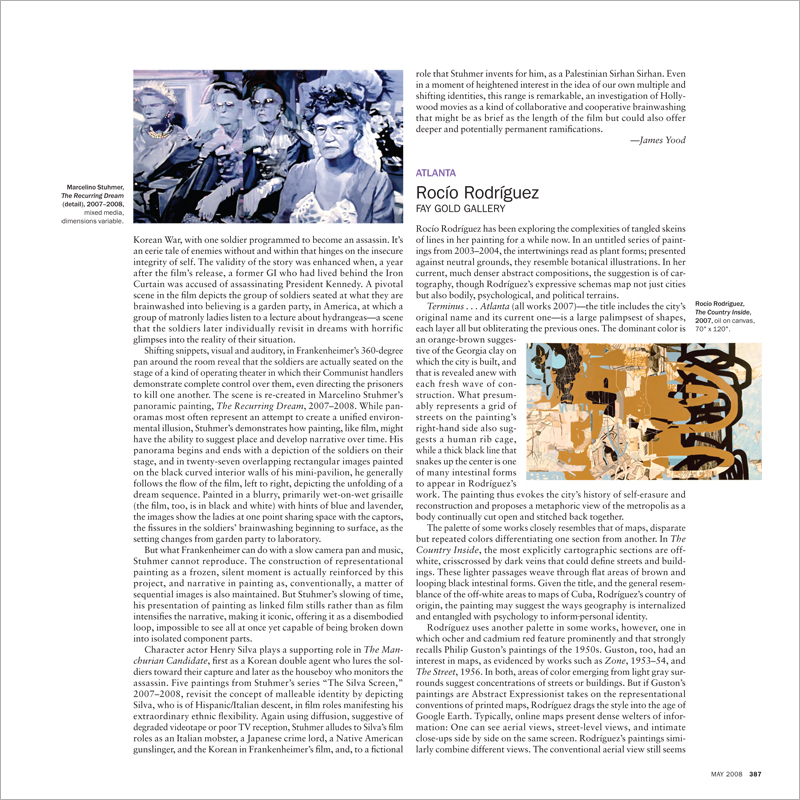 In her current, much denser abstract compositions, the suggestion is of cartography, though Rodríguez’s expressive schemas map not just cities but also bodily, psychological, and political terrains.